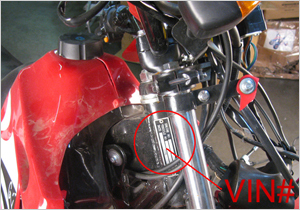 Depending on the model, the VIN for an ATV is usually located on the swing arm. The swing arm is the main component that holds the rear axle firmly in place. Look for a 17 digit number. Look for this VIN also on the frame in the FRONT of the ATV as well. 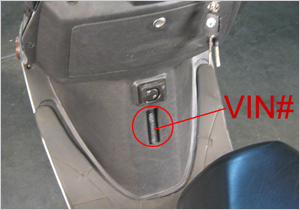 For some kind of mopeds, you can find the VIN for a moped or scooter right above the footrest below the glove compartment. Look for a plastic plate thats about 4 x 1.5 inches. 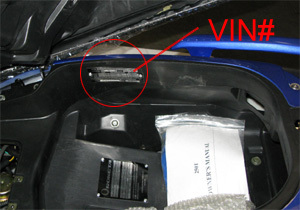 Youll have to remove the plate to see the VIN. For some type of mopeds, especially for MC-D54B, you can find the VIN from the sundries box. 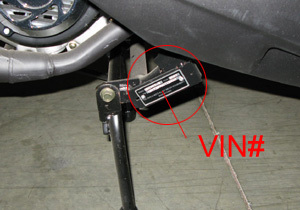 For other type of scooters , you can find the VIN near or on the main support. 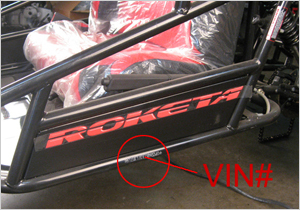 In most cases, depending on what model, the VIN for a go kart can be found on the frame of either the driver or passenger side. 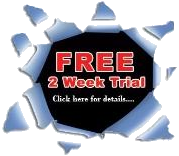 Look for a 17 digit number thatll run horizontally on the frame of your go kart. Also check the rear swing chassis near the battery or exhaust tubes. 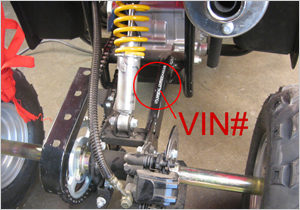 The VIN for a dirt bike can be found on the steering column, the part that connects the handlebars with the steering gear, or underneath the dirt bike on the bottom skid plate next to the engine. It is usually on a metal plate under Vehicle ID right below Engine Number. Also check the swing arm. 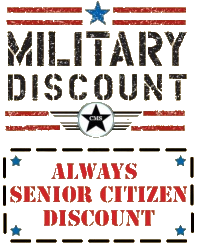 The The engine number is needed in some states fro registration. 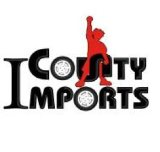 This number is on every vehicle we offer and can be found usually on the LEFT SIDE of your vehicle usually where the Kick Stand mounts to the bike -OR- where the foot shifter goes into the engine on ATV's. It will always be closer to the ground and not on the frame.